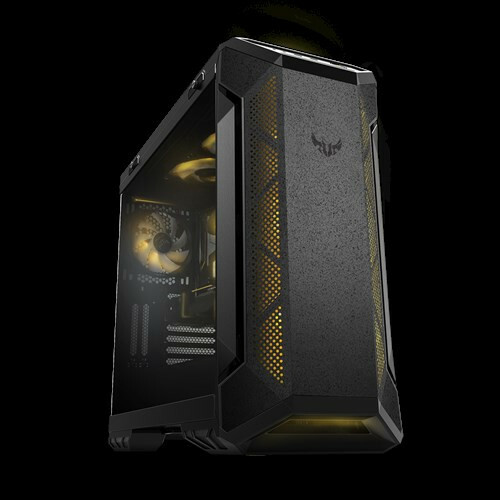 ASUS, a company known for PC hardware and enthusiast components as well as consumer electronics has earlier this week introduced the TUF Gaming GT501 mid-tower ATX case. Using a semblance of the original TUF design philosophy is the up to 1.5 mm-thick galvanized steel that makes up the frame and metal panels, instead of the 0.5 mm SECC steel that is almost always used in PC cases. This is the steel you generally see in higher end PSU’s to be made from. The left side panel uses the industry standard 4 mm-thick tempered glass, and the right side uses steel To me this is preferable because cable management doesn’t have to be as perfect. Oddly enough you will find a pair of cotton fiber handles, which can collectively hold up to 30 kg (66 pounds roughly). 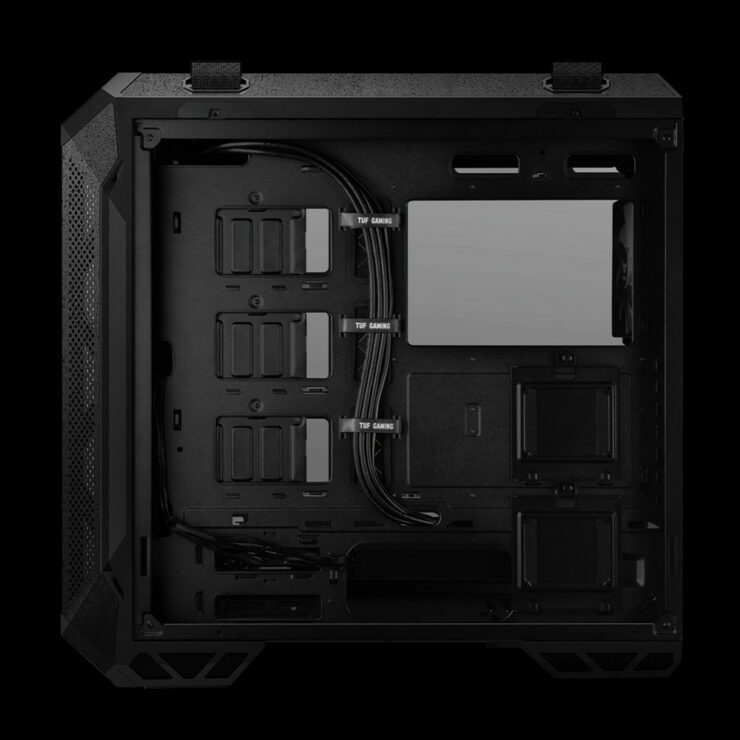 Along most of it’s metal surfaces, ASUS applied a ceramic protective coat Front panel connectivity includes two USB 3.1 type-A and HDA jacks. Although there are no physical controls, the case plugs into one of your USB 2.0 headers to take input for its 4-channel fan controller, and RGB lighting, over Fan Xpert 4 and Aura Sync, which if doing an ASUS themed build should be your goal anyways. 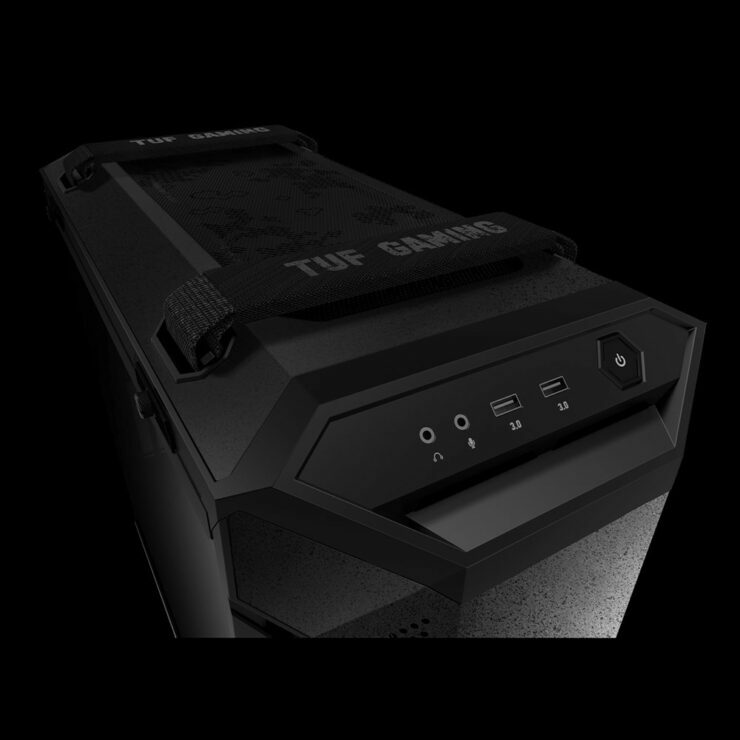 Inside, the TUF Gaming GT501 features a conventional horizontally partitioned layout, with the top compartment housing the motherboard tray with room for graphics cards as long as 42 cm, and CPU coolers as tall as 18 cm. 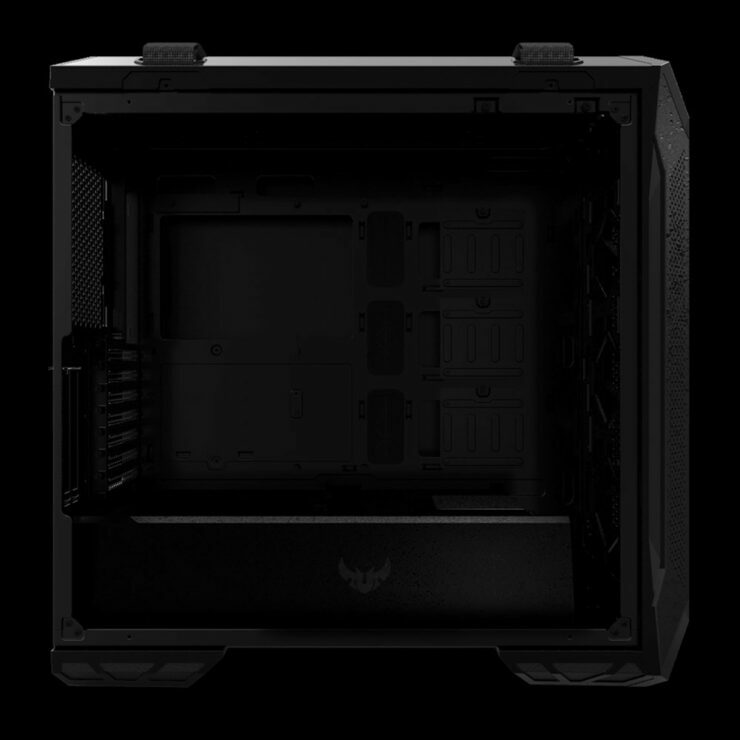 The bottom compartment has the PSU bay with room for up to 24 cm long units and two 3.5-inch/2.5-inch drive bays. Up to five 2.5-inch drives can be mounted behind the motherboard tray. The tray offers 7 normal expansion slots, and two vertical ones (riser not included). Ventilation includes either two 140 mm or three 120 mm front intakes; either two 140 mm or three 120 mm top exhausts, and a read 140 mm exhaust. 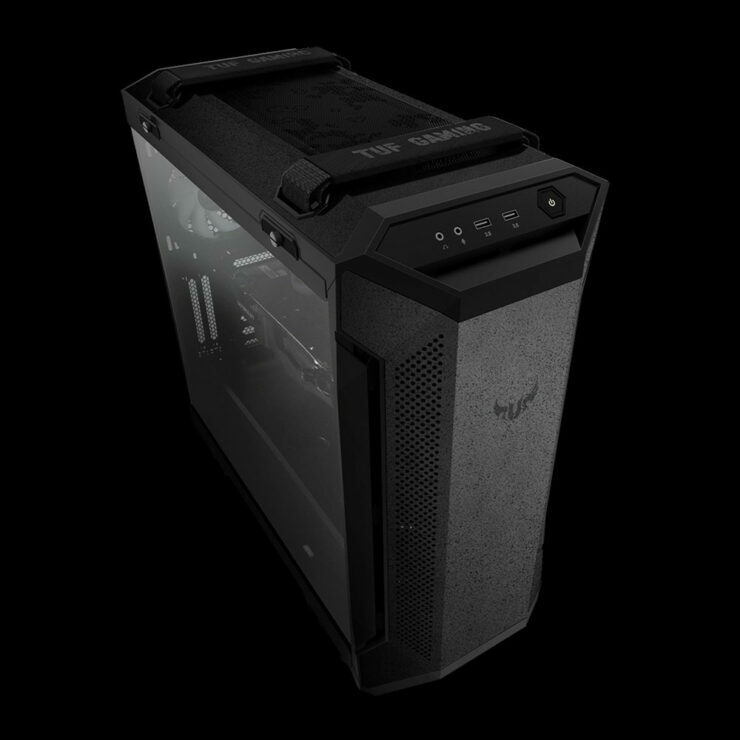 The case measures 251 mm x 545 mm x 552 mm (WxDxH).